Bipolar disorder is a mental and emotional disorder that causes major swings in mood, emotion, and energy. Because of these unpredictable shifts, those suffering from bipolar disorder often struggle with daily functions. School, work, and relationships can be difficult, and it is particularly challenging for teens. Recent studies have shown that bipolar disorder is likely to emerge during adolescence and that about 2.5% of teenagers will experience bipolar disorder. This means over 1 million teens in the US are suffering from bipolar disorder. Teens are being diagnosed with bipolar disorder almost as frequently as adults. Teens with depression have a higher likelihood (20%) of developing bipolar disorder as a companion to depression. If one parent has bipolar disorder, the teenager has a higher risk of also having bipolar disorder – up to 15-30% more likely. 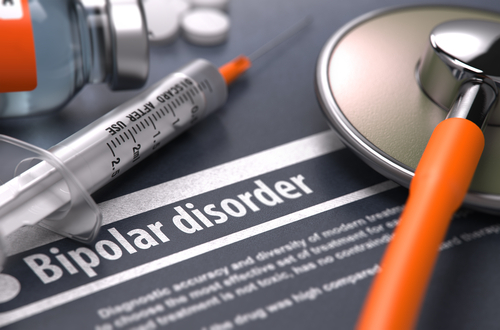 Over ⅔ of those with bipolar disorder can trace bipolar disorder or depression in their family, indicating a possible hereditary link. 1. Gather reliable resources to educate yourself and your family. This way you can be prepared to help your teen as they seek treatment and coping for this difficult disorder. 2. Find your teen a therapeutic source that they trust. This can be an individual therapist, family therapist, group counseling, or even a residential treatment program. What does Bipolar Disorder feel like for your teen? We recognize that sometimes bipolar disorder is too much for a family to handle. A developing teen with a serious disorder, parents with busy jobs and obligations, siblings who also need attention and may be confused… it’s a lot to take. If you fear that your bipolar teen needs more assistance or expertise than you’re able to offer – you are not alone. Sundance Academy is a residential therapy school staffed with experts to treat teen boys in need. Often, removing your teen from their world is a critical step to prevent frequent and dangerous triggers or temptations. At our school, teen boys are under safe, secure, and constant supervision to keep them healthy and manage their symptoms. They receive daily treatment for bipolar disorder or other conditions which they may be facing. Meanwhile, they learn life skills and obtain an education. In our safe and immersive environment, teens can learn to thrive even with a bipolar disorder diagnosis. The long-term and holistic approach we take can be immediately effective, as well as providing them the opportunities to re-enter the world as healthy, happy, functioning members of society. Alongside helpful medication, we teach bipolar teens ways to cope and manage their disorder, so that they aren’t dependent on medicine alone. We use therapy, routine, exercise, creativity, education, outdoor recreation, culinary arts, and a variety of other methods to allow your teen to grow and thrive. Allow us to show you how we can help your teen reach their true potential at Sundance.